From the Zulu for 'trough-like', 'river of troughs', referring to long pools. 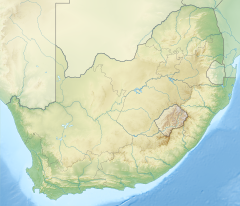 Its main tributaries are the Bivane River and the Mozana River in South Africa, as well as the Ngwavuma in Eswatini. This page was last edited on 12 March 2019, at 20:15 (UTC).